Once you’ve made a PB&J on homemade bread, you’ll never go back to store bought again. If taste isn’t enough to convert you, the ease of spreading the peanut butter and the jelly will win you over in a heartbeat. No holes caused by sticky peanut butter. No jelly rolling over the surface without actually spreading. 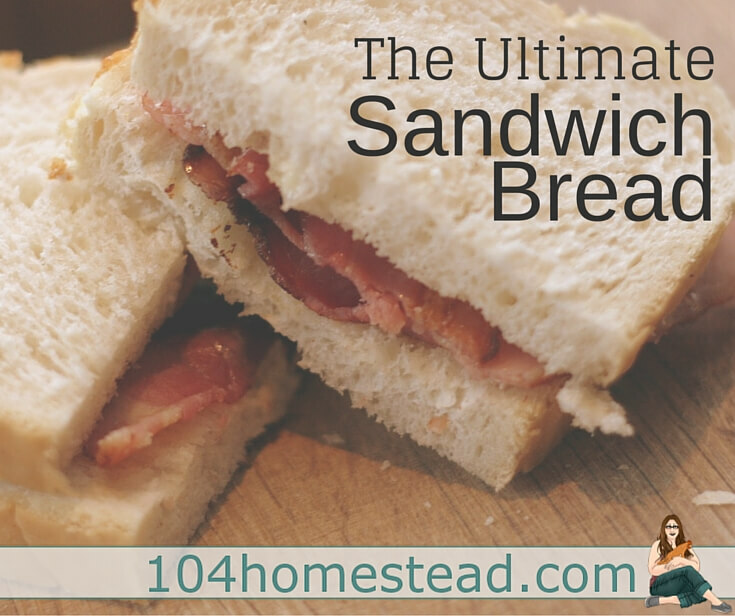 I’m going to share with you my ultimate sandwich bread. I don’t have a stand mixer and I don’t have a bread maker. 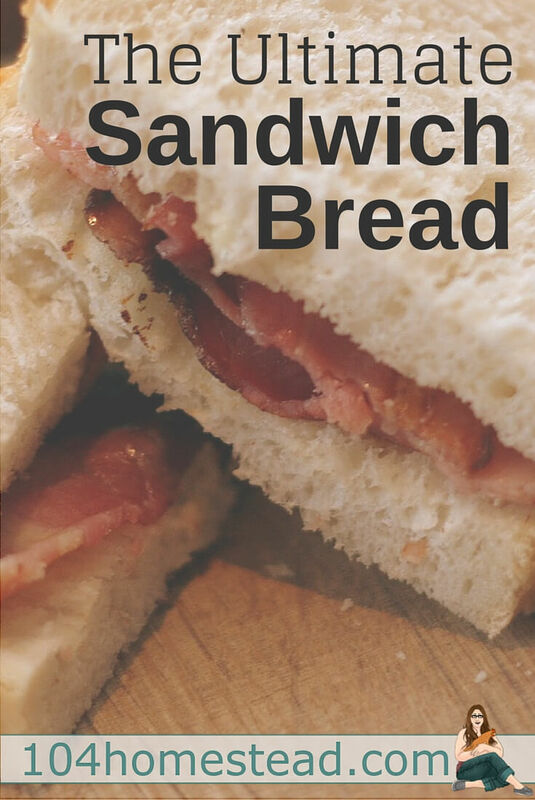 This is an easy homemade sandwich bread that can be made with no fancy equipment. It’s been kid tested and I certainly approve. Don’t forget to slice the top of your bread before baking to get a picture perfect loaf. Pour warm (not hot) water in a large mixing bowl. Sprinkle yeast and sugar on top and let stand for 5 minutes. Melt butter in the microwave in a medium mixing bowl. Stir in milk and salt. Pour in 1 c. of flour and mix. Pour milk mixture in with the yeast mixture and stir until it creates a loose, lumpy batter. Add another 4 1/2 c. of flour. Using a stand mixer, a dough hook with an electric mixer or by hand, knead dough for 8-10 minutes. Add additional flour (1 tbsp at a time) if the dough seems too sticky. Clean out medium mixing bowl and film it with a bit of oil. Create a ball with the dough and roll it in the oiled bowl to lightly coat it. Let the dough rise until it has doubled in size (about 1 hour). Divide the dough in two and form both sections into two balls. Allow balls to rest for 10 minutes. Grease two standard size loaf pans with non-stick spray or olive oil. Shape and fold dough into loaves and place them into pans. Let loaves rise a second time for 30-40 minutes. Heat over to 425°f halfway through the second rise. Slash the tops of the loaves down the middle and put them in the oven. Reduce heat to 375°f and bake for 30-35 minutes. Tops will be dark golden brown. Allow bread to cool to room temperature and then refrigerate before cutting loaf. This makes the slices come out more uniform and reduces crumbling. Are you new to bread making? Check out 9 Secrets to Successful Bread and you will be well on your way to successful bread. Can this be changed into a bread mach He recipe? Ugh, if only I found your site prior to this, it would have saved me a lot of work and frustration where homemade bread is concerned!!! THIS is exactly the taste I’ve been striving for!! Now though I need to work on the process of rising the dough, I am so elated to have found this recipe!!! I am so happy to hear this! Did you see my post, Secrets to Successful Bread? There are a lot of tips that might help with your rising problems. Jessica, I’m glad you found just the recipe to please your family. There’s nothing like homemade bread. I have a food processor and a stand mixer, and I can tell you how to make bread with them; but I prefer making it by hand. Kneading bread dough is positively therapeutic! 😀 I’ve been making bread since I was a young girl and I make bread twice a week. Haven’t bought a loaf at the store since I don’t know when. I wish pages that offered recipes would have a PRINT option.. some do but many do not.. I am planning to do just that here on The 104 Homestead. I completely agree with you. 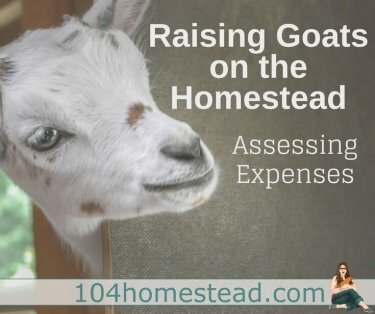 Talk about a non-traditional homesteader…. I run an eBay and internet business! When not in cyber space, I care for my lil old house, garden, heat as much as I can with our wood stove, enjoy our tiny 3 hen flock of chickens and bake my own bread. Oh, and by the way, melting the butter to make this bread recipe in a rinsed out yogurt cup is not saving resources, but it will provide a bit of drama when the cup catches fire in the microwave! Once finishing kneading I would put it straight into the bread tins, as it doesn’t rise at all the second time. I’m not sure why you wouldn’t get a second rise from the bread. Maybe the room isn’t warm enough? You certainly can pop it right in the oven, but I find without the second rise, the bread tends to be a bit more dense. I made this bread today. It is Delicious and I am so happy to have found it. My DH also loves it and he says it is the best bread I have ever made and I tell you that I have made a lot of homemade bread in our lifetime together. Thanks again for this wonderful and easy recipe. I am so glad to hear that! My poor family had to suffer through a lot of trial end error until I found just the right recipe for us.